Want to start a WordPress blog? 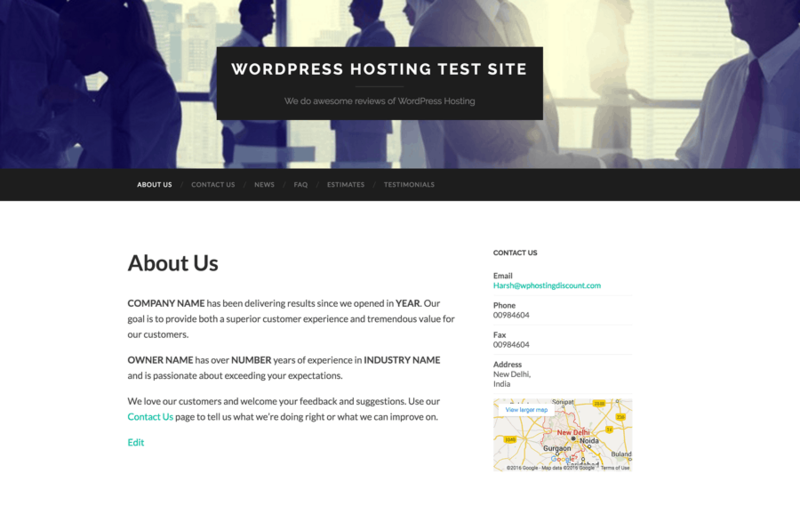 Godaddy managed WordPress hosting makes it easier to start a blog in few minutes. 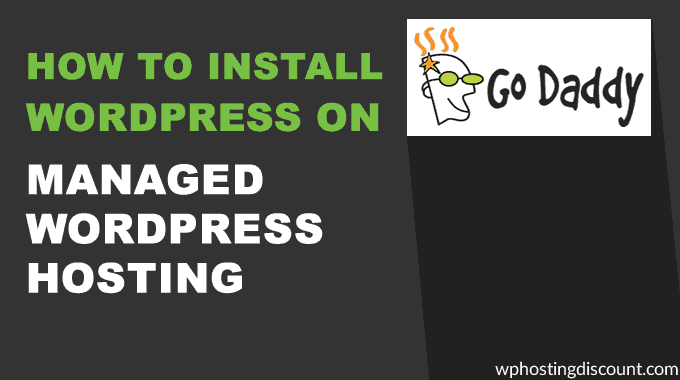 In this tutorial, I will share how you can install WordPress blog on your Godaddy hosting account. I will walk you through step by step guide on installing WordPress on Godaddy managed WordPress hosting account. 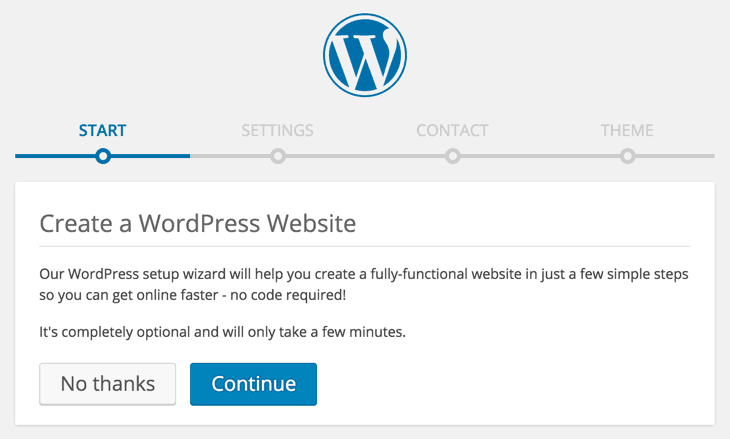 Godaddy offers one-click WordPress installation. You only need to configure few settings such as your username, password & few others details, rest everything will be done by auto-install. It will automatically create your database for WordPress, and your blog will be up and running in 5 minutes or less. So, let’s go ahead & let get your first blog up & running. Login to your Godaddy dashboard. The first screen will list down all the products you have. Click on managed WordPress to start WordPress blog installation process. 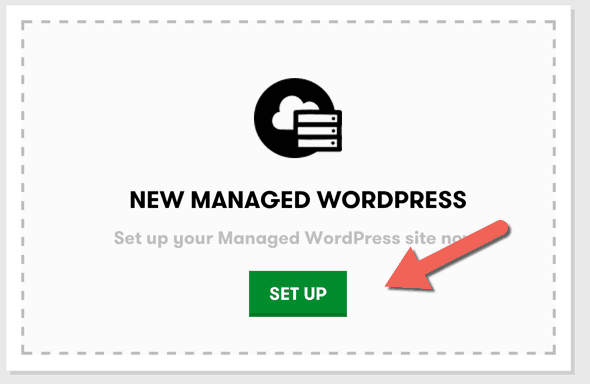 On the next screen click on Setup below New managed WordPress. In this guide, I will show you how to install WordPress from scratch. In upcoming tutorials, I will share how to migrate WordPress from one hosting to Godaddy account. Click on Create a new WordPress site. 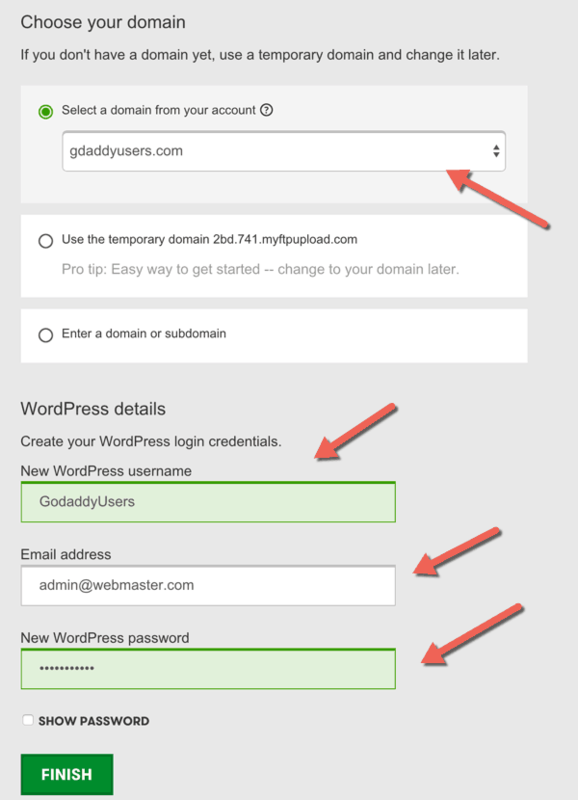 Godaddy makes installation of WordPress easy, and you just need to add few details. Domain name: Select the domain name on which you need to install WordPress. Username: Select the username that you will be using to login to your WordPress dashboard. Email: Make sure you use an email where you can receive installation information. You can change your email address anytime inside WordPress dashboard after installing it. Password: Use a complex password to ensure your WordPress blog remains safe from hackers. You will also get an email once the installation is done. The email will contain your WordPress dashboard login & username. 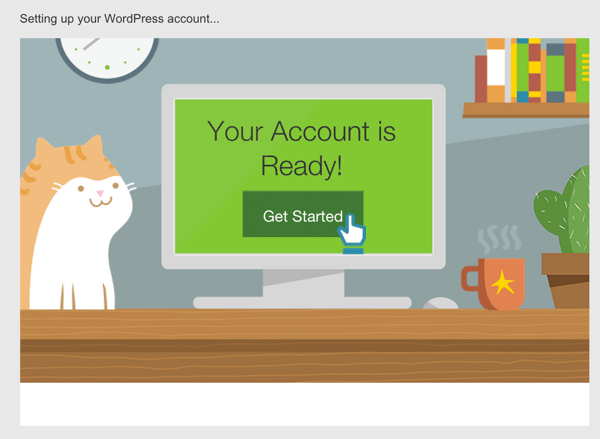 You can login to your WordPress dashboard to setup your WordPress blog. Click on continue & it would take you to the next screen. Select what kind of website you want to create with WordPress. On the next screen add your contact details. Ensure it’s all professional & don’t add any information like your home-address or private number that you don’t want to share with the world. Click on continue & final setp is to select the theme. You can of course change your theme anytime. You can hover your mouse on any theme & click on preview. This way, you can preview site before finalizing the theme. 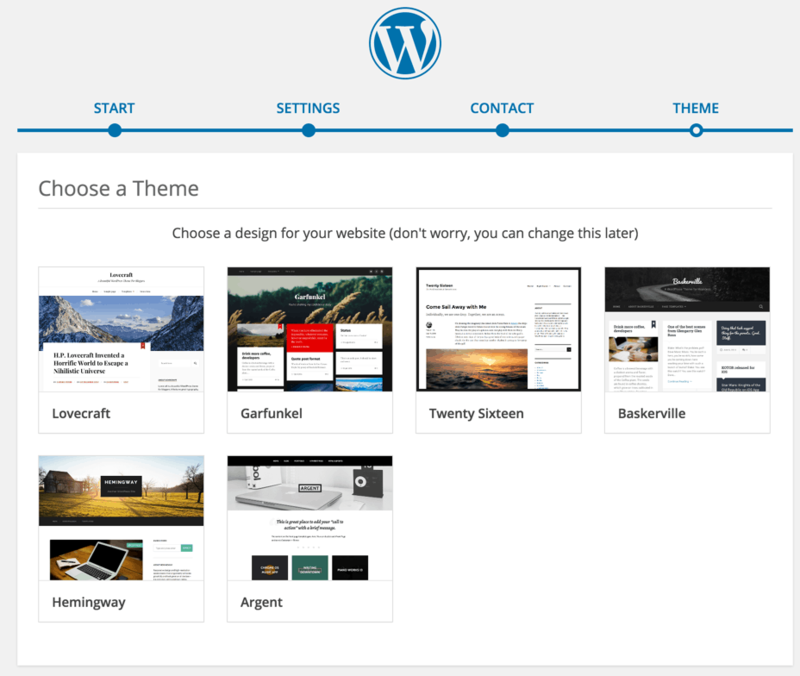 (The whole experience was easy & anyone with zero experience will be able to customize & select a good looking WordPress theme). Another thing which I really like about this setup is, WordPress takes care of Permalink structure & by default your permalink is SEO friendly. 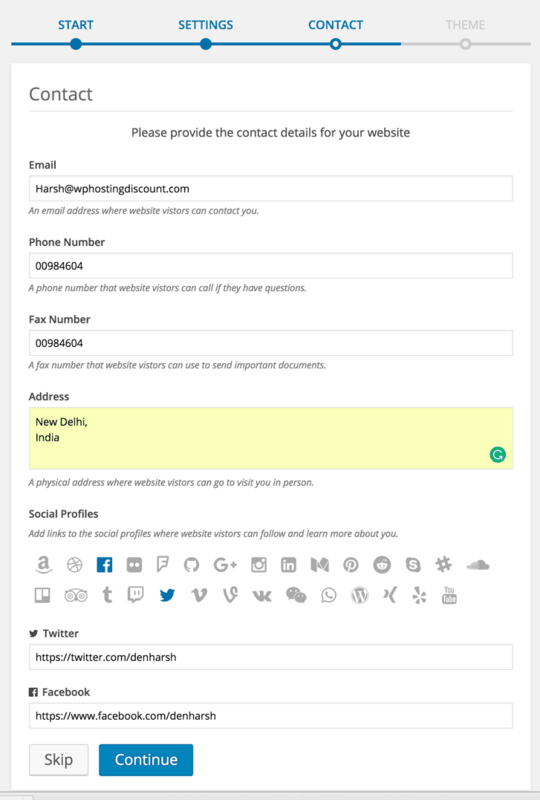 Also a contact page is added with Contact form & few other important pages. Godaddy is one of few hosting companies that offer free WordPress video training. You can click on Video tutorials at the left bar, and learn everything about WordPress by watching videos. If you have done a WordPress training & is well versed with WordPress, you can ignore the above step. You can directly go to Plugins and disable Go Daddy Quick Setup & Sidekick plugin. I’m sure it will be easier for you to figure out next steps. If you want to me to write a tutorial on the next step, feel free to let me know via comment. Note: No need to install a cache plugin as Godaddy takes care of it. That’s it! Now start using your WordPress site to grow your business or publish your articles. If you have any query regarding installing WordPress blog on Godaddy WordPress hosting, feel free to ask me via the comment section. Also, Join us on our social-networking sites. Feel free to share this guide with others to make them learn about setting up WordPress blog in few minutes. 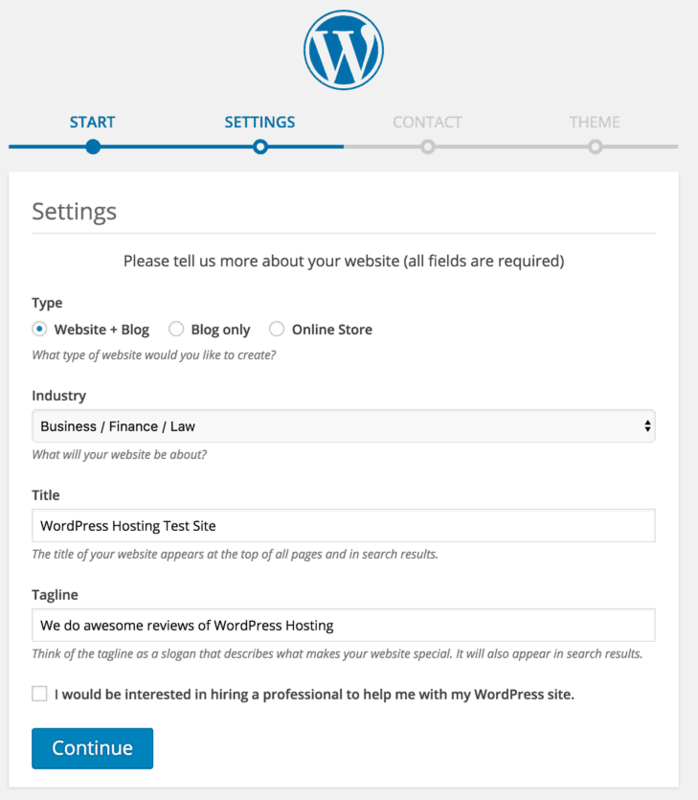 Hello Harsh Glad To Read This Guid On Setting Up WordPress For New Blogs.. This is very helpful to newbies..